Methylsulfonylmethane, or MSM, is a sulfur-based compound that is found in various foods. It also occurs naturally in the body and is available as a supplement. The traditional use of MSM has been to treat pain associated with arthritis, but it is often touted as a hair growth agent despite a lack of clinical studies that support that claim. MSM is a white, crystal-like substance that contains one-third sulfur. It is chemically related to DMSO and is often called DMSO2. When DMSO is taken orally or applied topically, 15 percent of it will break down to form MSM in the body. MSM is formed in nature when a gas, dimethyl sulfide, leaves the ocean and rises into the atmosphere. When dimethyl sulfide is exposed to the sun’s rays, it is transformed into DMSO or DMSO2 and returns to earth in rain. Plants soak up DMSO and DMSO2 through their roots. MSM is frequently touted for its ability to improve hair and nails, although there is little to support those claims. The test most-often cited to support MSM as a hair growth agent was an unpublished study by Dr. Ronald M. Lawrence. Unpublished studies are not subject to peer review and are given less credence than published studies. Lawrence’s study, titled "The Effectiveness of the Use of Oral Lignisul MSM Supplementation on Hair and Nail Health," consisted of just 21 subjects, with 11 receiving 3,000 mg of MSM daily and 10 taking a placebo. At the end of the six-week study, Lawrence concluded that “hair length increases tended to be greater in MSM-treated males than in their placebo-given counterparts," but also wrote that larger-scale trials should be done. One study that did find its way into the peer-reviewed press appeared in the July 2009 issue of "Biomolecules & Therapeutics." The study used MSM with magnesium ascorbyl phosphate, or MAP. The study was performed on laboratory mice and a constant 7.5 percent MAP solution was administered to the backs of mice with MSM solutions of 1 percent, 5 percent and 10 percent. 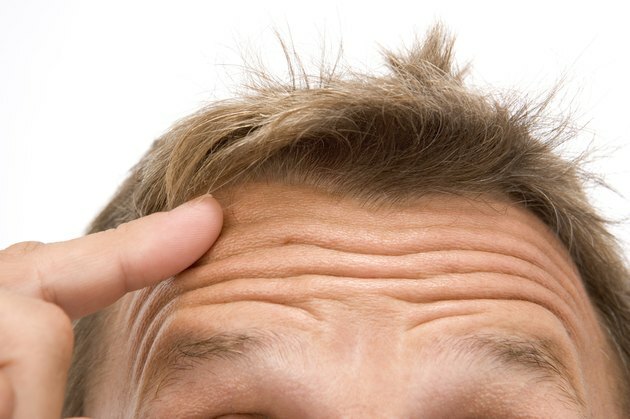 The study showed that the hair growth rate was in direct relation to the percentage of MSM given to each test group, and that the 10 percent MSM solution mixed with the MAP worked as well as 5 percent minoxidil and concluded that MAP and MSM together appeared to be useful in treating hair loss. MSM can be found in numerous foods, including those high in protein, such as meat, poultry, fish and eggs. It can also be found in milk, coffee, seafood and chocolate. It is also available as a supplement. There is no recommended daily allowance for MSM, but doses between 2 g and 6 g are common. As MSM occurs naturally in many foods it is believed to be safe. When given to laboratory rats at five to seven times the recommended dosage for humans, no adverse effects were noted after 90 days.